Let the Fire Sale Begin? What I’d like to propose here and now is that it’s time. Last season we saw a bench-clearing selloff that left a ton of gap in the roster, and this year we are almost certain to see the same. In another one of my posts I’ve discussed the need for bigger minutes sent the kids’ way, and maybe that’s something that’s been on your mind too (maybe not, whatever, I’m not a psychic – just roll with it). A lot of this could be solved by making some big moves, so why not get cracking? It might seem strange to do so at this particular hockey moment, especially because the Rangers are winning a whole bunch of games lately, but it actually may be the third most conducive trade environment in the season behind the trade deadline and the draft. Both of those are fairly obviously events that lend themselves to dealmaking; the first one is literally called the trade deadline, and the second one is just a frenzy of hockey without any actual games played. This is right around Thanksgiving though, so it might seem a little bit weird. Trade incentives are in the air however, and there’s good reason for that. Turkey Day has lent itself to the hockey world as an arbitrary-but-weirdly-accurate heuristic for playoff prognostication. Something like three teams over the past decade who were out of the playoffs on the third Thursday in November have wound up competing for the Cup come the only good season of the year, all apologies to Fall, Winter, and Summer. NHL executives know this of course, and even if they don’t there’s always the broader vibe radar that front offices use to check the weather. Bubble teams may be finding themselves concerned they might be jumped by some squad on the outside looking in, hoping to add themselves to the list of teams that have broken in during the holiday season proper. Those same dreamers looking to make a name for themselves and usurp a present day wild card team will certainly be on the market for talent at this exact moment. Teams on winning streaks looking to keep the momentum and secure their postseason spot, teams on a losing streak hoping it won’t come to bite them after the trade deadline, our real-deal contenders hoping to shore up their position and be perfectly comfortable resting their stars in the waning days of the regular season – all of these GMs are going to be at minimum kicking the tires. 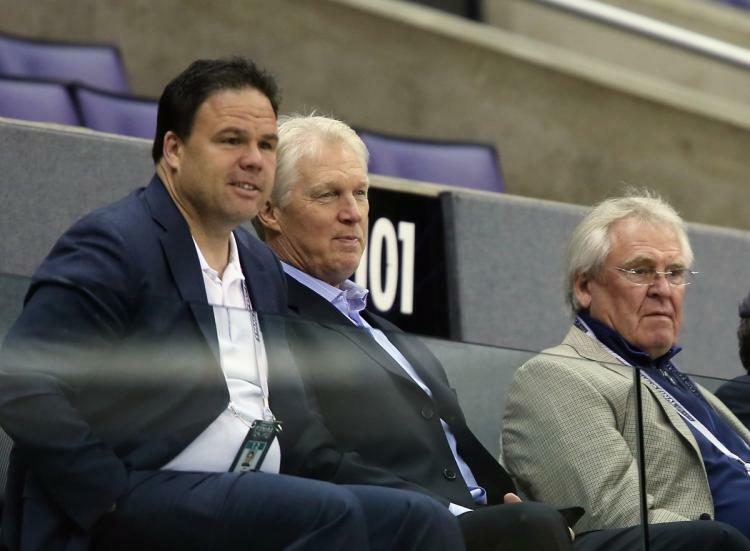 It’s incumbent on Jeff Gorton to take advantage of the current landscape and see what he can do. Now, this comes with a few caveats. First is that the deadline will of course be bonkers, so we could always wait and capitalize then. A related angle there is that we don’t want to make a bad deal just because we really wanted to make a deal. But even then, there’s going to be phones ringing in the coming days, and there may be good trades to be made. Whether GMJG wants to head out on the attack or play it a bit cooler is of course up to him, and has a lot to do with why he’s steering an NHL team back to contention and I’m not, but now is as good of a time as any. A big ship is leaving at some point this season, and if the skipper feels the moment is right then it’ time to disembark ASAP. Yes, even with the current winning streak fresh on everyone’s minds. Make a play for Nylander. Maybe Zucc and Skjei plus a pick get it done? There is an element of selling high here that would be advantageous. I’m not sure that it’s that high on Zucc and Skjei right now though. If we could sell high on Staal by sending him to Edmonton that would be amazing. Only a few days ago Dave wrote something like “DMs don’t make bad trades, unless you’re Edmonton”. Well, we got one trade with Edmonton done this week already, so maybe? Staal put a NMC in his contract for a reason…Going to EDM is probably not on his “Top 10 (or Top 100) reasons to waive my NMC”. It would be great if anyone would take Staal’s contract from our payroll but it’s not likely that even at 50% retained any GM would want that contract. Would be nice tho. I would sit back and see what’s being offered for our players. If the returns are good then we move, if not, we sit back and wait until other offers come in!!!!!!!!!!! That type of thought processes will leave you being surprised. Who knows what management would sign off on and for what? Everyone coming to a agreement on a NYR forum won’t amount to the reality of what JG would sell off on individual’s. Be ready to get shocked for the better or for the worst, just sayin. Your lips to god’s ears Walt! I am sorry but the notion that the kids are being blocked by veterans who need to play is absurd. Admittedly, the talented prospect Georgiev is not getting proper playing time, but I do not believe Hank was your first guy out the door and in fact he has a no trade clause. There is not one player in Hartford who would benefit from NHL action. Indeed, except for Hajek, I would conjecture that not a single player is even a 50% chance to ever be a meaningful NHLer – though a few like Gettinger and Crawley bear watching. The forward corps is so thin that Lettieri was kept in NY far beyond his sell date. At defense, Quinn is having to juggle seven guys but seems to be doing a good job of it. And now the key point: We want Andersson, Chityl, Howden, Pionk, DeAngelo to have experience playing in the NHL. That is what is happening now. Part of playing in the NHL is having teammates who can play and trying to win games. That is the current situation. That is not what you get if you flood the team with Gettinger, Nieves, Lettieri, Hajek, Gilmour. The rebuild is not a failure if the Rangers make the playoffs. The rebuild is a failure if the Rangers deal Kravtsov for a rental on deadline day. In 2003, JS Giguere took a Ducks team that was neither good nor awful to within one game of the Stanley Cup. Hank has never had a Cup run like that, but he is a better goalie than Giguere and he plausibly could do this. So why insist on giving him a team that is truly awful? Excellent post Ray! Truly Excellent! Cheers to you! Todd McLellan was fired as coach of the Edmonton Oilers on Tuesday and replaced by Ken Hitchcock. The recycling of coaches has begun……….How many teams has Hitchcock coached???? Boucher will and should be out in Ottawa, some players up their want Tippet to coach them. I’m surprised. Hitchcock is nearly 67 and I thought he had really retired. Thought the same after his 2nd Stint with Dallas and calling it quits, but the money must be nice to pull him out of retirement. Got to say he is a great coach, he’ll turn them Oilers around in two seasons. If you trade Hayes and chytil ends up a wing (I think he is) howden becomes the defacto #2C (who is shooting almost 20%). is lias a 3C right now ? So its not as deep as we make it out to be. Just something to consider. Is Jimmy Vesey part of the “rebuild” and long term picture? If not, then he’s doing a pretty good job building up his trade value. Coming into the season GM’s may have held a high regard for him based on his collegiate history. He seems to be trending positively this year, his value could be peaking. Time may be right for a trade for a considerable return. He’s definitely looked a lot better this year, but I just don’t see him as a legit Top 6 guy on a SC contender … although you can certainly spot him for a few games in a Top 6 role. That said, there’s no urgency in moving him. By definition a fire sale is a sale of goods or assets at a very low price, typically when the seller is facing a hardship of sorts. We on the other hand find ourselves in the exact opposite condition. Firstly, we’re already winning (well let’s say we’re at least seemingly competitive at this time) … Secondly, I see some really good prospects that can be impactful players in the not so distant future — i.e., Kravtsov and Miller. Thirdly, I think Hank can still be the backbone of this team for the duration of his contract. If I’m the FO I set my sights on the last two years of Hank’s contract. Now is good time to look at locking up a few players like Buchnevich, Claesson, Pionk and ADA (if you believe in them long term — I do) before the summer arbitration madness and before they have such good seasons that their costs go up needlessly. Maybe it’s even time to talk to Hayes. Most importantly though, the FO must make every effort to avoid the dreaded NMC or NTC (although a modified/limited NTC for Hayes is probably unavoidable). Re: Hayes, well I know there are a number of people out there who will clamor that either Hayes or Mika must go — I say NOT JUST YET, even if that means Chytil stays on the wing, Howden centers the 3rd line and Andersson is your 4th line center (for now). I’ve never seen having an extra center or two as a detriment and I believe in playing all 4 lines — that is how you grind other teams into the ice and dominate them as the game progresses (in my mind at least). Elite talent is great, but it’s depth that wins championships. I want a 4th line that is as good as most team’s 3rd line. That’s how I would handle the rebuild. Of course it’s all subject to re-evaluation every few months …. but that’s the course I would take. Maybe Zucc? He’s defiantly gone by deadline. Chytil at wing and need of PP time will be one of the reasons why he’ll be move soon. Buch coming back by January will be another reason why he’s expandable. If the Rangers make the playoffs and Krav’s KHL team doesn’t than there goes another reason why Zucc should be shown the door. The Hayes vs Zib argument was something Brooks started towards last summer. The reasoning behind it was because Zib has a certain clause kicking this July. Injury prone and other stuff could make it hard to move him. I don’t see any reason for a “fire sale”. If the Rangers receive knock me over offers for some of their players, maybe they pull the trigger. But I think they can continue to build without selling off their vets. Perhaps Zucc only because of his age if they can replace him with a winger, and marginal or expendable players such as McQuaid, McLeod and Smith. Staal, for better or worse, stays around because of his contract. Fortunately, Staal is a good role model for the young players and he can be utilized in a rotation or sheltered when necessary. Agreed about Staal. It wouldn’t hurt to have him around as an elder statesman — he is loved in the room and as long as he isn’t overburdened with the lion’s share of ice time he’s serviceable, plus that contract is a bear. Re: Zucc, I said maybe … perhaps that’s just a hesitant acknowledgement on my part for what he has meant to this team over the course of the last 5-6 years. I’m always hesitant to downplay a player’s locker room chemistry. Admittedly he’s one forward we should sell, I would think his market value to a playoff team come the trade deadline should be REAL high. He’s a very legit top 6 guy who plays with a ton of heart. He needs to bring back a damn good prospect and a 1st rounder at a minimum. Can’t see him going for less than Nash tbh. Like many others, I love Zucc. I am not advocating trading him. I just realize that it is a possibility. But, the Rangers are not blessed with a load of wingers at the moment, so perhaps they are not looking to move him except for a young and promising forward. I love Zucc, but he’s on the wrong side of 30. If he can bring back at least a first for next year that’s going to be hard to pass up. We can always resign him next year if we feel the need. We can’t focus on what he has done for the team to this point. That mentality has gotten us in contract trouble before. I would sell high on Pionk because he can’t defend in his on end. The Rangers also have ADA who’s like Poink but better at defending in his on end. He also has better Offensive skills and more grit. Poink isn’t a long term answer sell high. LOL!!! 3rd leading scorer on the team and PP QB who the coach thinks IS A GOOD defender isn’t going anywhere. ADA isn’t a better defender just because useless fancy stats say he might be. Actually he’s looked better the last couple of games. Pionk is a young player who is exhibiting a lot of savvy offensively. He needs work in his own end, but , remember that he is being given a lot of ice time and the tougher defensive assignments. He sometimes gets beat or fails to cover, but Quinn trusts the kid a lot. They aren’t going to be selling him. I disagree about selling him now. Tony DeAngelo has better raw skills, and has improved a great deal in defending in his own end of the ice. But he is still less polished at times than Pionk. Along with his better defensive play his offense is starting to show his abilities and that he can be tenacious. He has hiccups in his play and brain cramps. Tony at times seems a bit stunod, but since he has been playing regularly he’s improved a great deal. He also has some fearlessness and doesn’t back down to anyone. He’s willing to trade a few jabs with if needed. Tony at times seems a bit stunod!!!!!!! Laughed my a** off!!!!!! I knew I liked you for some reason, LOL!!!!!!! Nothing compares to a Margherita Pizza and Espresso from Napoli. I don’t see DeAngelo as part of the future. He’s too inconsistent game to game. He’s got talent, but needs to go elsewhere. The guy I would want is Darnell Nurse. That’s the big, young tough defenseman the Rangers lack. Right now, our most tradeable piece is Zuccarello. And I think it’s best to wait until a contending team loses a scoring winger to injury, then trading Zuccarello to them. Otherwise, wait until the deadline. we dont need a fire sale, there is a good mix now. if you could get a good return offers should be listened to. Zuc would be one i think who could bring back the best return. I like the Zuccarello and Skjei plus pick for Nylander. You know they will be trying to move Smith and Stall. Don’t trade Pionk, he is a young defenseman with talent. And trading Skjei would make the defense thinner then it is already. Hank carrying them into the playoffs would be nice. Yeah. It’s great to finally have a exciting team to watch grow that plays with passion. But let’s start trading now. What kinda blog is this? Talk to me in February. I will say what I have said every season for about 20 years: Talk to me in January to see where this team is, and then decide what to do in February for the trade deadline. I go to the games and pay a tremendous amount of money to watch this team live, and I do not see anything close to a team that can win in the playoffs. So it would be fool’s gold to be deluded into not doing anything at the trade deadline than to sell high on Hayes and Zuc to accumulate more younger assets. This Ranger team is no where near the Ranger team of 2014, and that team came up short. So did the Ranger team the year after. As for vets not blocking young players from playing more minutes or better roles on the team, the only real situation I see is Andersson. First it was Chytil nailed to McLeod and now it’s Andersson. I mean what is to be gained by this? And this is why you don’t have a guy like McLeod as your 12th or 13th forward, especially when regulars are injured. Is McLeod really that bad? Sure, he should not playing in the NHL, but OTOH he is probably better than Lettieri for example. Maybe Beleskey or Nieves would be an upgrade. Then again maybe even Fogarty isn’t. The bottom line really is that the Rangers are hard-pressed to put together a fourth line that is not truly awful. It would be good to get Andersson more top 9 minutes though. Ray I do believe that McLeod is really that bad. Defensively he is simply not there a great deal of the time. I think both Boo and Belesky would be major improvements even though neither of them are stellar. So, yeah I think McLeod is usually pretty sorry on the ice. Meant to add that he also has 0 points in 15 games. Raymond he serves zero purpose on the ice. None. I mean, he tries real hard, but he is one of the worst hockey players to wear a Ranger jersey. Yes, he’s that bad. And I am not a Nieves fan at all, but yes, I would rather him or Gettinger play on the 4th line. Andersson is just going to have to wait his turn, it will come. He shouldn’t play daily, but does bring a physical element that’s been part of this coach’s mantra. More than I can say for AHL fodder Lettieri and Hostess Spooner, who is gone. Seven hits in seven minutes last night. And his fight and words woke them up last week in the win over Vancouver. It’s still good to have those character guys because they’re good for the team. Once Buch returns, he won’t play as much. But there’s no harm in using him 8-10 shifts against rivals. The coach manages the lines well. When Andersson is ready to move up, he will. It’ll be earned. Zuccarello doesn’t fit anymore. I hope they get something nice back. I don’t think anyone is suggesting they can win in the playoffs as currently constituted. I know for myself I’m suggesting they can compete for a spot in the playoffs, at best. The enthusiasm for this team is watching some of the younger players and projecting their development. 100% Tanto, I’m not saying that I’m not enjoying watching the team play, but I think we all agree that we want a competitive team, whether it’s this season, the next season, or the season after that. It’s not the fans I worry about. We’ve seen this dance too many times, field a team that can make the playoffs, that’s what I’m worried about. The “stupid” trade that is made in Feb that is geared towards the team making the playoffs for this year. Or the resistance to NOT trading guys like Hayes and Zuc to make a playoff run. According to some of my “friends” there is a real issue within the Rangers’ FO as to the direction of the team. Make no mistake, the Garden has lost a ton of revenues because the Knicks haven’t made the playoffs in years and the Rangers missing the playoffs last year. There are minimal costs (no player salaries in the playoffs) when the Rangers make the playoffs, so there’s a lot of profit for making the playoffs and for every round that they win, when the tickets go up exponentially for every round won (trust me, I know). The restaurant I go to before each game told me the Garden has booked a record # of non-sporting events between September and into next year to try and make up for lost profits. So the desire to make the playoffs is very real. And it could lead to very bad decisions. Decisions that can undo what they are trying to build long term. That’s what I’m worried about. But the thing is Joe, they DID NOT call is a “rebuild.” Read the letter again, that they wrote in Feb or whenever it was, the word “rebuild” was never mentioned. “Reshape” was the word they used. And the fact is, other than 3 young players inserted into the line up, isn’t this basically the same team as last year? Tomato-Toma’toe you know? Of course its the same team. A reshape is a process and doesn’t happen overnight. that is what I’m trying to say. as the year progresses it will continue to evolve. Hopefully, not like your worst nightmare, but more like what we’ve been seeing. However, as we do that, nothing wrong with winning and sneaking into the first round and see what happens. Let me ask you this, they are in “playoff position” in Feb, you hold off from trading Hayes and Zuc? I say “no” that you trade them anyway. The Rangers NEED to sign Panarin after this year and maybe a top D man as well. It is paramount that they clear cap space for those potential acquisitions. IMO. If they are in position in February, I don’t go crazy, but I also don’t disregard that anything can happen in the playoffs. I trade Zucc, because I don’t believe he is here for the long haul, let’s face facts. Hayes, I think, can be a part of the future of the Rangers, and I personally like him a lot. As long as they can sign him for the right price, if not, trade him. As far as Panarin, he’ll be 28 next October, I think he is too old to be a part of this rebuild. This is when they begin to drop off. I have an interesting question who would do a Skjei and Krasvtov for Nylander deal? Would either side do this deal? For the record I love Kravtsov and would not do the deal he has a good chance of being better than Nylander. But all this talk about stealing Nylander for a bag of pucks made he think what would it take. At this point I’m not sure I would trade him for any of the players that went before him in the draft. The 18 year will likely end the season with one of the highest U20 scoring seasons in KHL history and he is on a bad team I think they were shut out again today. I’d be very surprised if he is not on the rangers top line within 2 years. Come on folks, we drafted a kid with unlimited potential, having a very good season, on a piss poor team in a mans league, second only to the NHL in quality of players. Another example of people looking for instant gratification, without thinking of the long term implications. Someone posted above, sorry I don’t remember the name, but he made a very valid point, it’s the long term cost to our team, and the set back for the rebuild that will kill us. Leave well enough alone!!!!! Interesting. We have a good idea as to what Nylander is and where he will end up. Krasvtov has the potential to be a much better player. But potential comes with no guarantees. No risk no gain. Kravtsov’s downside looks like a 50-60 point player, his upside looks 80-90 — at least based on what I’ve been seeing from him … and I think the odds of him being better than that downside are pretty good. Don’t get me wrong, Nylander is a nifty player … but I think Kravtsov will score more goals and drive more of the play. He doesn’t need a Matthews. I think a Buchnevich will be more than enough. Vehemently opposed to Nylander, for reasons previously mentioned above! The Leafs might but we won’t. Thinking about potential trades/being an armchair GM is always fun. Right now, I would not trade ADA or Pionk—unless an offer is made where you’d have to be stupid to decline. Between Skjei, Miller, ADA, Pionk, Lindqvist, Lindgren, Hajek, Keane, Rykov, Day, Sjalin, Ragnarsson and Crawley you have the potential for an elite defense at best and a serviceable defense at worst. At this point Day, Ragnarsson, Sjalin and Crawley all seem like real long shots—but possible. Skjei, Miller, Hajek, Lindqvist, ADA, Pionk and Rykov could all be solid to really-good. The only one with the potential to be an elite Norris candidate is Miller—but he has a long way to go. His athleticism, size and attitude are just so promising that they may skew my view of his potential a bit much to the rose-colored glasses realm. As for trading forwards? That is tougher. I think Kreider is worth having around long term. However, if Winnipeg offered Trouba, two first rounders plus one of Vesalainen, Stanley or Lemiex—then sure trade him. If Kreider can—over the next few years—become a better defensive player he will be valuable well in to his 30’s. If Nash had never had a concussion, he would be a valuable player into his late 30’s as well. The size, speed, two-way game and leadership would make them great bottom six players as they age. Scoring 10-15 goals would be fine in that roll. I would say the same with Zib and Hayes. If a really good offer comes trade them. If Hayes does not have an extension in place by the deadline—trade him. McQuade, Zucc, Strome, Namestinkov should all be traded at the deadline with Zucc being the only one who could get a 1st rounder and/or a good prospect. Namestinkov should get a Grabner type return where McQuade and Strome will get subway tokens for the rookies to use. If they can trade Staal or Smith go for it but the rangers would be hard pressed to find a dance partner for those two. It will be interested to see how this all shakes out. Miller is going to be a STUD (and sooner than many thought on draft day) …. just like Kravtsov. I’m not sure Miller even goes back to Wisconsim after his freshman year (but for sure he doesn’t last more than 2 years there). Miller is playing really well, let’s remember he is a converted forward and has not played the back line until just recently. Let’s not get ahead of ourselves with him but it does look good. Miller will need 2 years at Wisconsin and then I think he will make the jump to Hartford after his 2nd college season. But yeah, I think that giving up that 2nd rounder to move up is going to be worth it. Why do so many people want Nylander? What has he ever proven? He has good numbers due to the talent he plays with. I don’t think he’s gonna be worth his new contract. Dad is asking for too much. Now, Marner. That’s completely different. He’s already a top 25 player. He will be worth whatever he gets. Same as Auston if he can ever stay healthy.